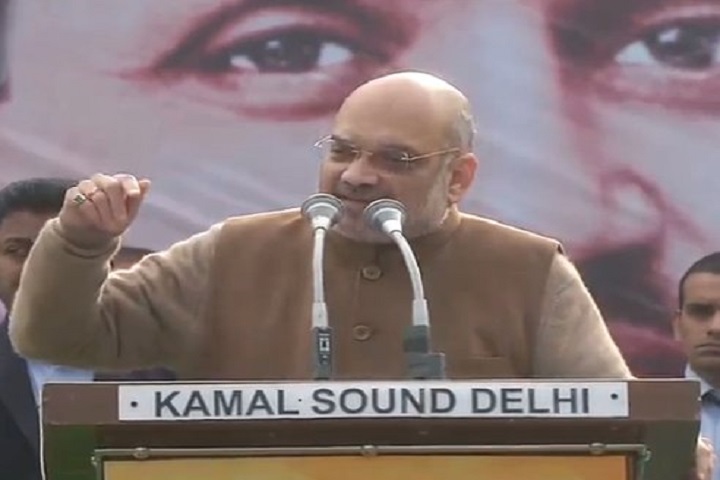 The National President of Bhartiya Janta Party (BJP) Shri Amit Shah addresses a program on Samarpan Diwas in New Delhi. In the program, Amit Shah remembered the contribution of Pandit Deendayal Upadhyaya towards the BJP and the nation. Pandit Deendayal Upadhyay was an RSS thinker and former leader of the political party Bharatiya Jana Sangh, the forerunner of Bharatiya Janata Party. He became president of the Jana Sangh in December 1967. He contested the Lok Sabha election and lost. Shri Amit Shah during the program has said that "on this day (in 1968), Pandit Ji offered his sacrifice doing the Party work. BJP celebrates this day as a surrender day (Samparan Diwas) since its inception. Pandit Deendayal Ji founded the party which was not based on a leader but on the basis of the workers". Keep in mind that Pandit Deendayal Upadhyaya Ji was killed in a train theft incident and was found dead on 11 February 1968 on a railway track near Mughalsarai Junction railway station. Pandit Ji was one of the key members to establish Rashtriya Swayamsevak Sangh (RSS). The RSS is one of the principal organizations of the Sangh Parivar group and completely run by the Hindu nationalist. "Deendayal Ji conceived a party which is not the base of the party but rather the workers and the organization. A seed of the party that Deendayal Ji had planted has become the huge tree. Keeping away from fame, through the organization, which was given by Deendayal Ji, it is still a source of inspiration for us". "Over the past four years, the party has extended scientifically on the day of dedication day and lifetime contribution fund. With pride, the BJP worker should say that we run this party with our money. No industrialist or contractor runs with his money", Shah added.